On the hidden art bicycle tour, everyone else was looking at a mural behind a building, but I found this ad for a new album. Art is where you find it. 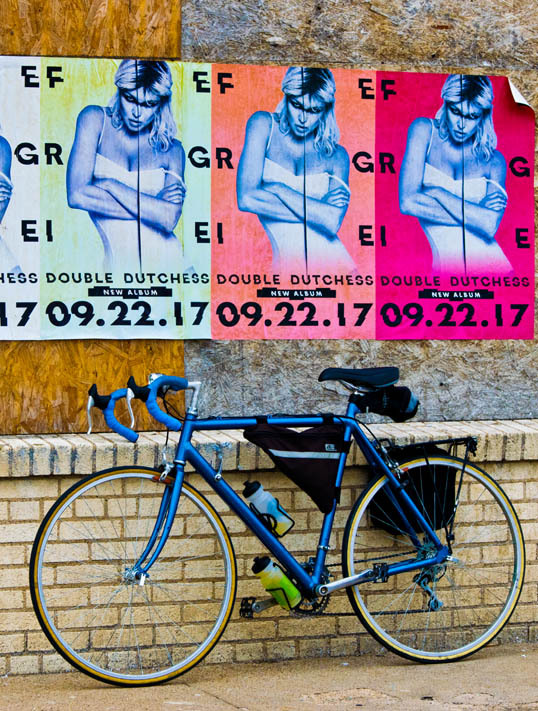 This entry was posted in Photography and tagged ad, album, Art, bicycle, cannondale, cedars, cycling, Dallas, double dutchess, fergie, poster, Texas, touring, vintage. Bookmark the permalink.